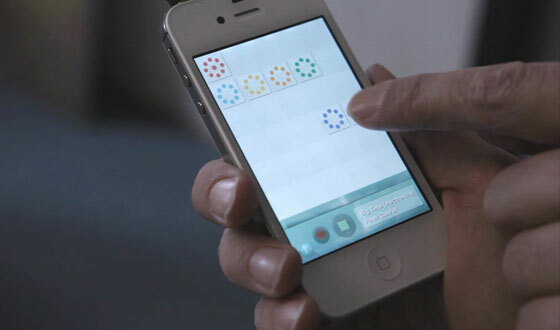 Centre for Playware – The MIT Media Lab of Denmark? I invited myself to pay Centre for Playware a visit. This is a department of Technical University of Denmark (DTU), just outside Copenhagen. I was a part of a research project with them and ATR about the robot Telenoid (read more about that project here). A friend from that project is doing his PhD here and thought it might be a good idea to see what they have been doing lately. Centre for Playware is a lab-style research department in the crossfield between play and technology. The place is small and the staff list contains less than 10 people, ahead of this is professor Henrik Hautop Lund. The projects are state of the art when it comes to innovating technology and play. They are all based on movements, sounds, games, modules, fun and learning – though learning isn’t the main goal! Take the Modular Robotic Tiles. 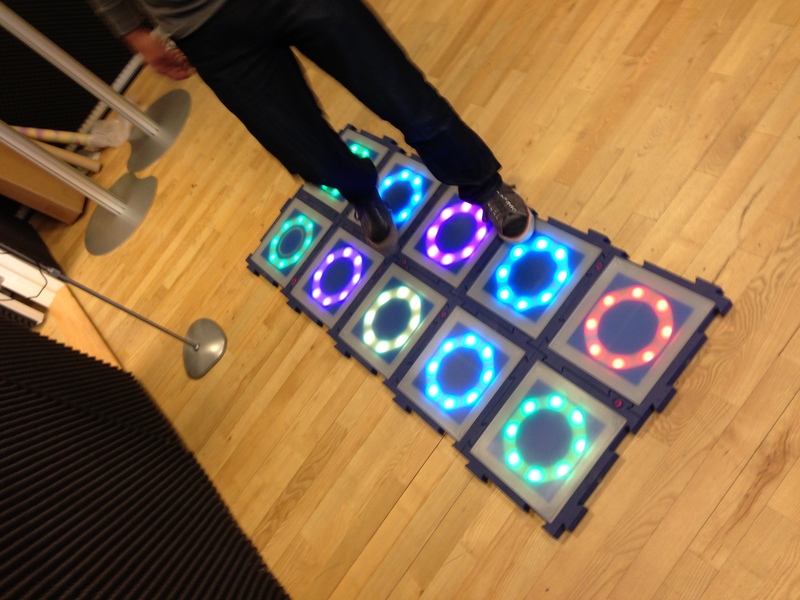 Originally the project question was “Can you use the safety surface to other things?” Answer: “Yes!” The tiles interact when you step on them and with them comes about 20 mini games such as memory, Simon says, ect. After just 30 seconds of dancing around, I was out of breath and laughing. The tiles are like puzzle bricks, and you can assemble them any way you want, they still knows their individual position. Reserach shows how they can improve agility, balance and fitness significant to especially elderly people. The tiles can be rented through Entertainment Robotics. Another modular project is the Music Tiles based on the same visual appearance. The tiles changes style/rhythm when you rearrange them individually. Peter Gabriel worked with some of the music on this one, and you can download the iPhone/iPad app from his page. By accessing all raw tracks in a song, you can create a new version of the original. A true 2.0 experience. The interface is quite simple and there’s a logic explanation to each instrument. 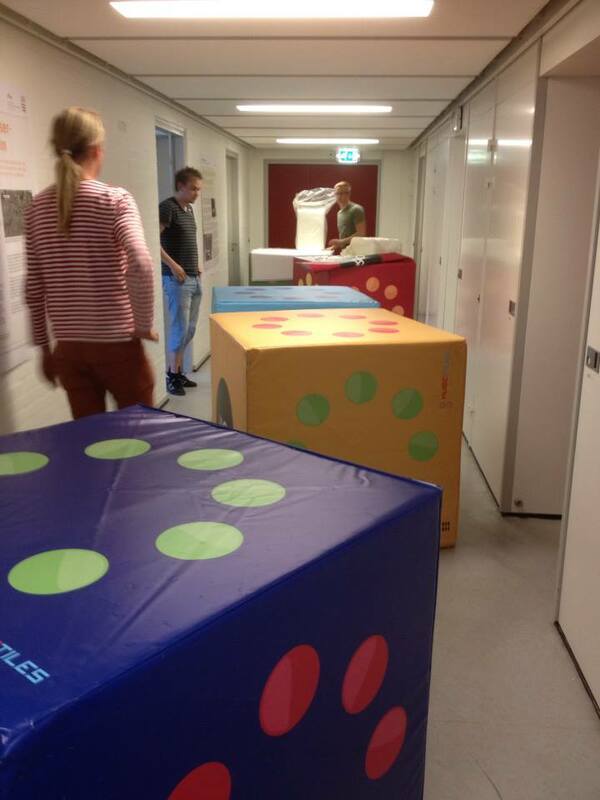 The project was taken to another level when these mega cubes arrived…They weight of 20 kilo! Music Tiles huge cubes! Ready for showcase at Roskilde Festival! These huge music cubes aren’t that easy to module, but I believe that’s just an extra fun factor. And wouldn’t it be interesting to find out what tune the cubes would play if they were placed on top of each other? 3D printed modular robot. Can be controlled by movement or voice. A lot of other projects, such as the modular 3D-printed robot, are being developed and designed at Centre for Playware as we speak. This robot could be designed to do a huge rack of tasks. One was to raise the arms as indicators of your voice pitch. When you hit the tone, the robot would be making a waving motion. But if you replaced the head with a Xtion (Asus Kinect-alike device) it would detect and replicate your motions. 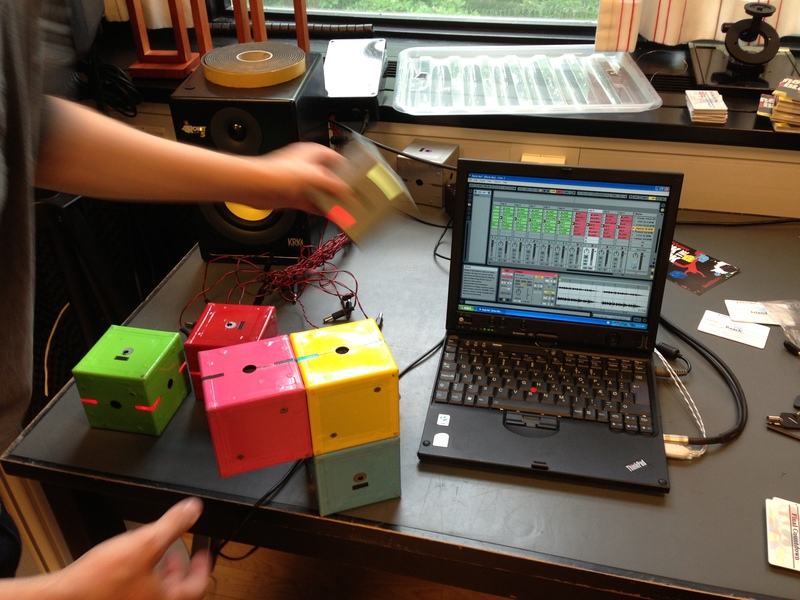 One interesting side project comes from PhD student Jari Due Jessen. It’s called Digiplay. 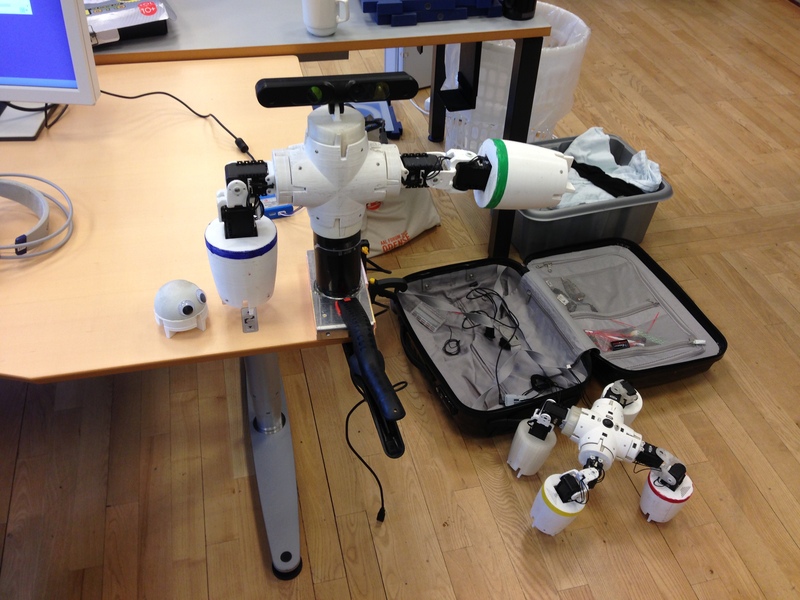 Jari puts RFID-sensors in various toys and other objects. 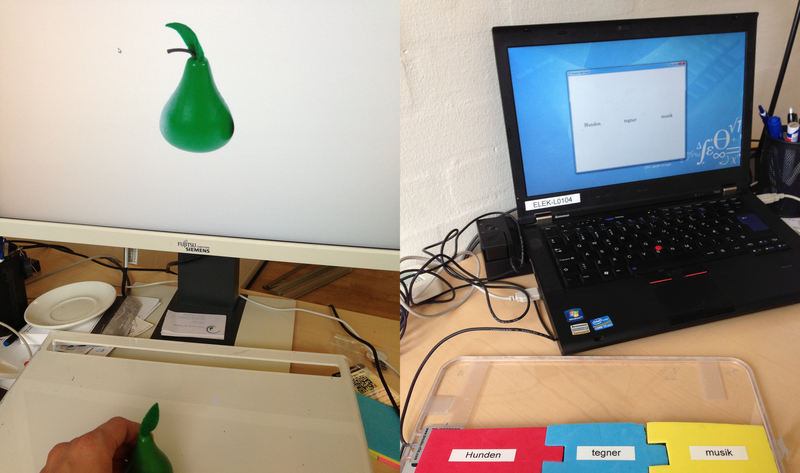 When the objects are placed on a board with an RFID-reader, kids can build interactive games, riddles, stories and even puzzles. I saw a lot of potential in this setup, especially when teaching grammar and sentence structure. Fantastic stuff! Knew nothing about them when I worked in Denmark! I first got to know them 3 years ago. Great place!